Home Question & Answer	What is a Boat Club, and Who is it for? What is a Boat Club, and Who is it for? More than just sport or recreation, boating is a lifestyle. It is an activity that can be just as fun and exciting the first time you go out in a boat as it is the 10,000th time. One of the reasons I am such a passionate advocate for Freedom Boat Club is how strongly it appeals to long-time, skilled boaters as well as novices. It is the main reason why we continue to experience strong, consistent growth year after year, while the marine industry has been mostly stagnant. We not only make boating a hassle-free experience, we make it affordable. As we have learned through experience, it’s not boating that people don’t love, it is the unexpected costs, the time-consuming maintenance and repairs and endless cleaning that often steal the joy. We do the work so you don’t have to. And, for novice boaters, mastering the various skills in handling a boat can be intimidating as well as frustrating. We are here for you, whatever your previous level of experience. Veteran boaters can instantly take advantage of unlimited access to a variety of clean, well-maintained boats. For novice boaters, we offer skilled, hands-on training so you can take the helm with confidence. And as a bonus, Freedom Boat Club hosts various social events throughout the year, as well as other perks. When you join the club, you have the opportunity to meet, mix and mingle with other members who share your passion for the boating lifestyle. If you have lost your love of boating, we can help you regain it. 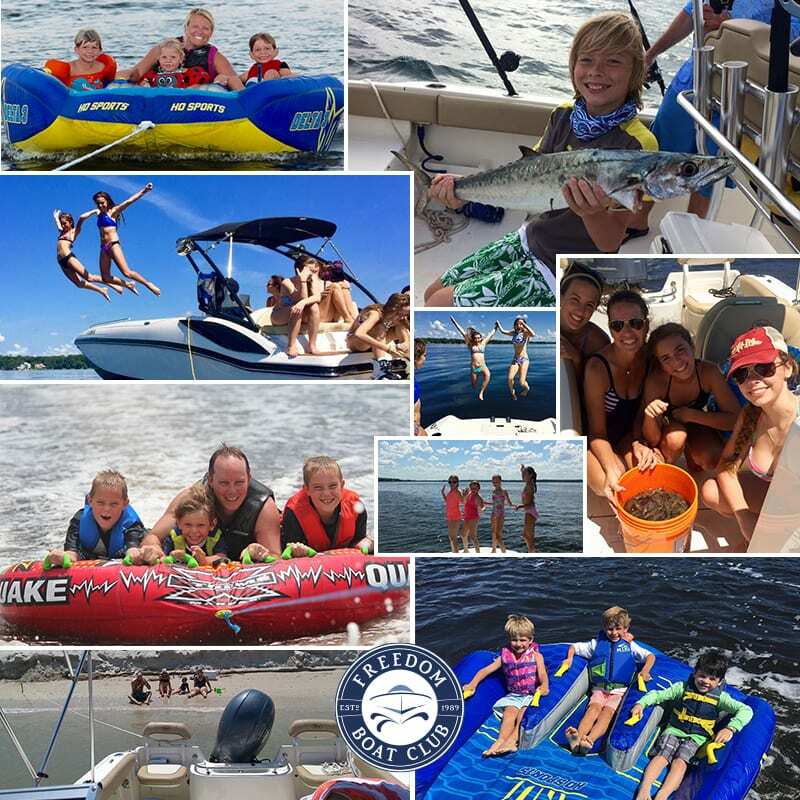 If you have never experienced the sun-splashed joy and freedom of a day out on the water, we can show you the way. Call us or visit us today. Your boat is waiting. How long is a Boat Club Contract?